Home Blogs Snap Shots Does GoPro make you a Pro as well? Does GoPro make you a Pro as well? The big mover in cameras has to be the GoPro series. Motorcycle riders have started to sprout these strange appendages on the top of their helmets, and no even semi-serious adventure exponent would be seen dead without one. Rather than tell people about the one that got away, you can now show the thrilling struggle of man versus fish! Called the Hero cameras, these have been brilliantly marketed, as well as being brilliant at what they are supposed to do. The unspoken promise being that with one of these you too will be a hero. And what’s more on land or underwater. The top Hero in the range is the Hero 4 Black that shoots 4K video at 30fps, 2.7K/50fps and 1080p/120fps video, 12 MP photos up to 30 frames per second and features built-in Wi-Fi and Bluetooth, and Protune for photos and video and is waterproof to 40 meters. 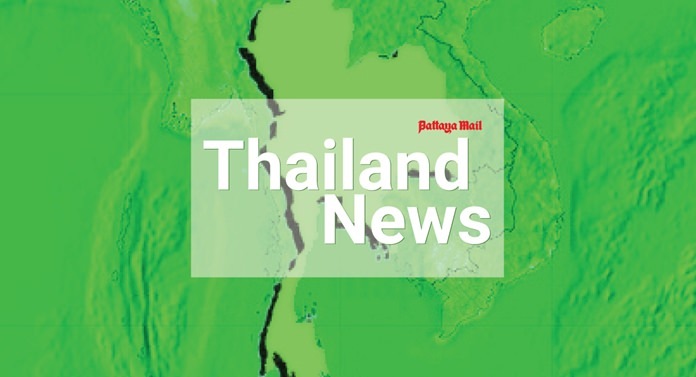 You will pay somewhere between 16,000 and 18,000 THB. The Hero 4 Silver shoots 1080p video up to 60fps and 720p/120fps video, 12MP photos up to 30 frames per second. It features built-in Wi-Fi and Bluetooth, and Protune for photos and video and is also waterproof to 40 m. This one is around 14,000 THB. However, GoPro has just released another camera, to slot in below the 4 Black and Silver range. This is the GoPro Hero Session and being a simpler action camera is aimed at those who want to shoot without fuss. The Hero Session is a cube-shaped camera about the size of a Hero 4’s lens. 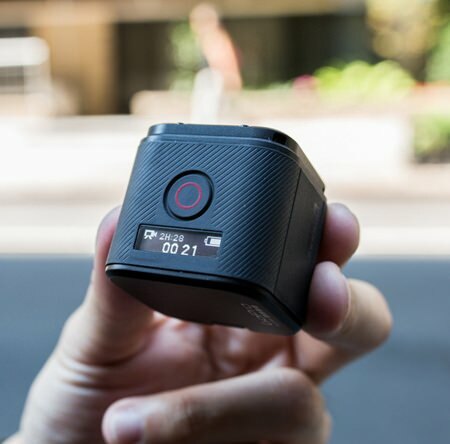 It is 40 percent lighter and 50 percent smaller than the rest of the Hero 4 range. With GoPro still leading the action camera market, the Session is a sign it is trying to appeal to all users. The Session is all about simplicity and doesn’t need a case to be waterproof. It also features the durability of other GoPro cameras, and it is waterproof up to 10 meters of water. To show the ease of using, press one button and the camera starts recording video. Hold the button down for three seconds as you turn it on, and it shoots photos. As opposed to its bigger brothers, the Session does not shoot 4K video but does capture HD footage at 1440p and 1080p, as well as 720p in slow-mo action clips. As a still camera, it shoots 8 megapixel images at 10 frames per second in burst mode, or in time-lapse mode of up to 0.5 frame per second. However, to change its settings, you must link it to a GoPro Smart Remote or a device using the GoPro app over a wi-fi connection. If you mount the GoPro Hero Session upside down for space reasons, the electronics with reverse this for you automatically. This small, cubed-shaped camera offers a quick and easy point-and-shoot experience. For GoPro addicts looking for new angles, the size of the Hero Session opens new ways to carry and mount cameras. All the amazing shots you see taken from the front of racing cars can be achieved with this camera. It is also small enough to be carried by animals without causing distress. GoPro chief executive Nick Woodman, one of the initiators of the action camera market after filming waves while surfing in Australia, says, “We think of GoPro as a movement. It’s a movement that’s enabling the highest quality user-generated content that the world has ever seen, blurring the lines with professionally produced content. “It’s a movement that is driving higher levels of social engagement and social activity than ever before. “And it’s a movement so powerful that it’s also helping launch new platforms, platforms that could be how we all communicate in the future like virtual reality. “It’s actually not that easy to make something that works as well and reliably as a GoPro. We have made a breakthrough and we have made something that is worth turning into reality. I believe this will be the start of a world-wide boom in recording action footage, bringing YouTube with it!